A California judge has given preliminary approval to a proposed $15-billion settlement in the Volkswagen emissions cheating scandal. It's a big milestone in VW's difficult pathway out of the US legal jungle. Judge Charles Breyer, a senior US District Court judge for the Northern District of California, issued a preliminary ruling on Thursday in San Francisco that the $14.7 billion (13.4 billion euro) settlement proposed by Volkswagen Group to settle thousands of bundled lawsuits against the company in the wake of its diesel emissions fraud scandal is "fair and reasonable." "There's been an enormous effort [on VW's part] to achieve a series of goals," said Breyer, adding "I think these goals have been achieved." The judge set an October 18 deadline for final approval of the deal. The litigants against VW now have several weeks to decide whether to accept the deal. 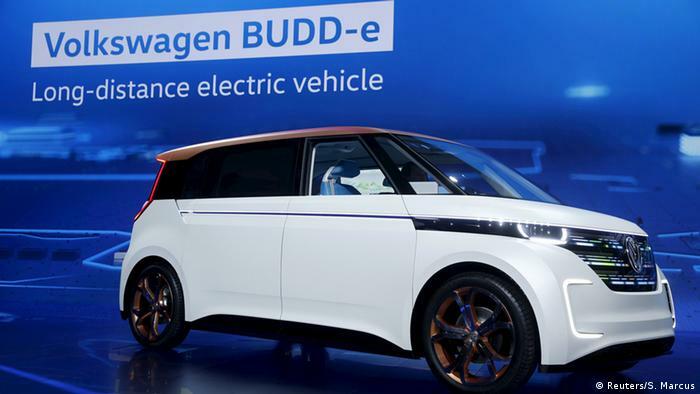 Among other things, the diesel emissions scandal caused a swapping-out of top VW managers at the headquarters in Wolfsburg, Germany, and a major shift in the company's new car development plans toward electric vehicles over the coming 10 years - such as the all-electric minivan prototype pictured above. The proposed settlement was the result of extensive negotiations between VW, its clients, and a number of US authorities, including the California Air Resources Board. If Judge Breyer's ruling is sustained, it will affect nearly half a million diesel automobiles in the US equipped with 2.0-liter engines. Another 85,000 vehicles with larger diesel engines are not covered by the settlement, and are subject to separate negotiations that have not yet been completed. Volkswagen has acknowledged that the cars were programmed to turn on emissions controls during government lab tests meant to measure emissions from diesel vehicles, and turn the controls off while on the road, in order to give a slight boost to the engines' power output. Investigators found that the cars emitted more than 40 times the legal limit of nitrogen oxide (NOx) as a result. NOx can cause respiratory problems in humans. The company still faces billions more dollars in fines and penalties, as well as possible criminal charges. Under the deal, which VW agreed to last month, the German carmaker would spend up to 10 billion dollars buying back or repairing about 475,000 2-liter diesel cars from Volkswagen and Audi equipped with software that manipulated vehicle emissions during official testing. VW has also agreed to compensate owners between $5,100 and $10,000 each. In addition, the carmaker will spend $2.7 billion to support environmental projects, including construction of an extensive network of fast-recharging stations for electric vehicles in California, with an additional $2 billion earmarked for research on reducing emissions. Meanwhile, the legal fallout from the diesel emissions scandal continued Tuesday in Germany, with prosecutors adding four more people to the list of those implicated in the software emissions scandal, bringing the total number of defendants up to 21. "Just as before, no board members are included in this group," prosecutor Klaus Ziehe told Germany's dpa news agency.